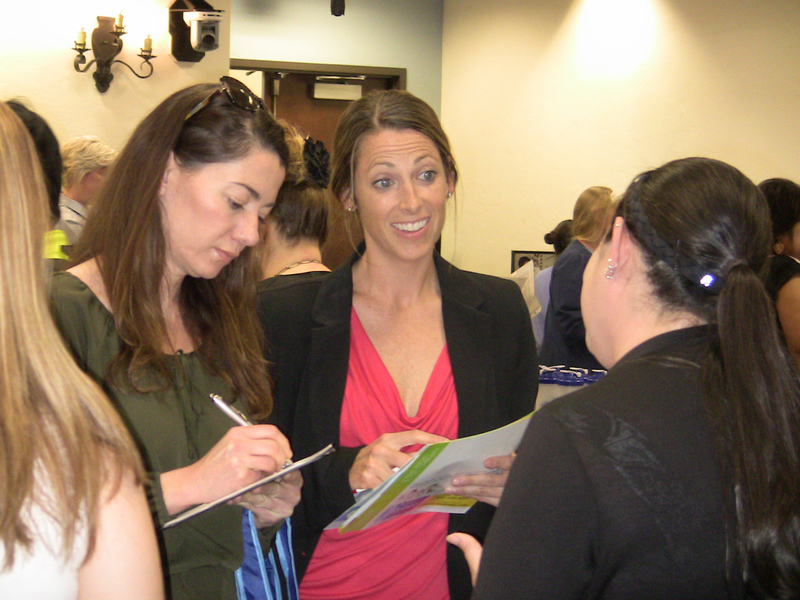 Employment Fair A Huge Success! 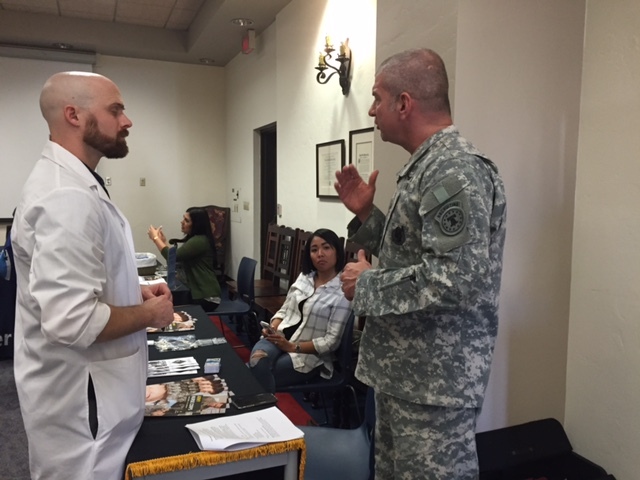 Students descended upon Hahn 106 yesterday between 1:30 – 3 pm for the Annual Employment Fair. Everything you wanted to know about that upcoming job offer was in the convenience of one room. 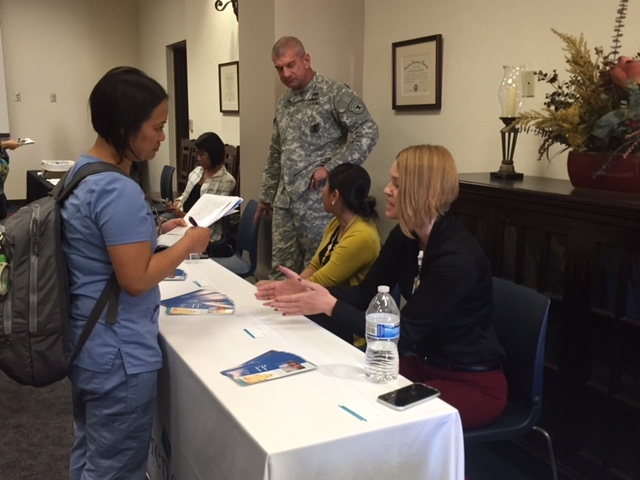 Over 17 different hospitals, clinics, and nursing associations were out in full force trying to market their agencies and get a moment to chat with new grad applicants. Afterward, most of the agencies took a tour of the BINR building. Everyone was so impressed with the level of education USD students receive and they were especially impressed in how students work with Standardized Patients in the Sim. Center. 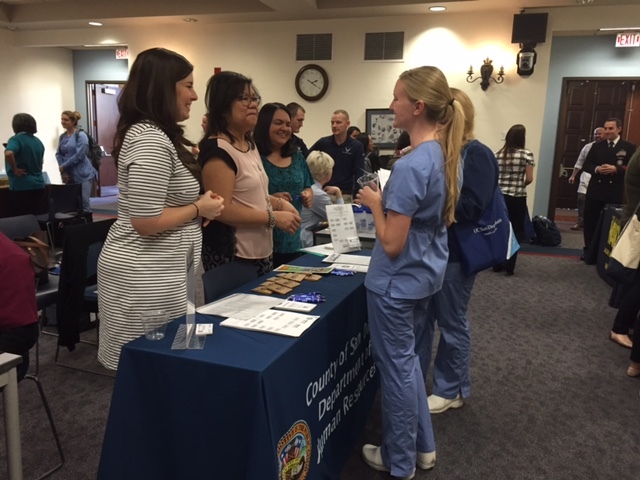 If you missed the Employment fair, make sure to make a special point to attend next year. Philippine Nurses Assn. of San Diego County, Inc.
San Diego Black Nurses Association, Inc.
1 Response to Employment Fair A Huge Success! From: MEPN Program <comment-reply@wordpress.com> Reply-To: MEPN Program <comment+zaionoddio5q3rd6j0b75h@comment.wordpress.com> Date: Thursday, February 11, 2016 12:54 PM To: Susie <shutchins@sandiego.edu> Subject: [New post] Employment Fair A Huge Success!